Hundreds of thousands of dollars fly in and out of Logan International Airport every day. Customs and Border Patrol agents eye passengers boarding and exiting planes, looking for specific behaviors that can indicate someone is trying to bring something through the port they aren’t supposed to. Customs brought the NBC10 Boston Investigators behind the security line to show some of the odd places people stash their cash. Hundreds of thousands of dollars fly in and out of Logan International Airport every day. Customs and Border Patrol officers eye passengers boarding and exiting planes, looking for specific behaviors that can indicate someone is trying to bring something through the port they aren’t supposed to. Customs brought the NBC10 Boston Investigators behind the security line to show some of the odd places people stash their cash. At Logan earlier this month, officers greeted passengers, reviewed declaration forms, checked packages and bags and counted the cash passengers carried on them. "They can travel with as much money as they please; however, money in excess of $10,000 requires them to do an additional form," Customs Officer Ross Hartnett said. 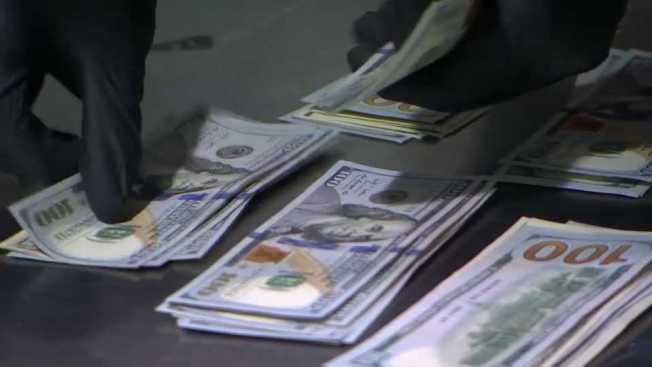 Officers said large amounts of cash can point to big time crime, including organized crime, drug syndicates and international money laundering. Consequences of not declaring the money over $10,000 include Customs seizing all the money on site and keeping it unless the traveler can prove through a job or bank it came from a legitimate source. Not only can travelers lose the money, they can face civil and criminal penalties, including fines. 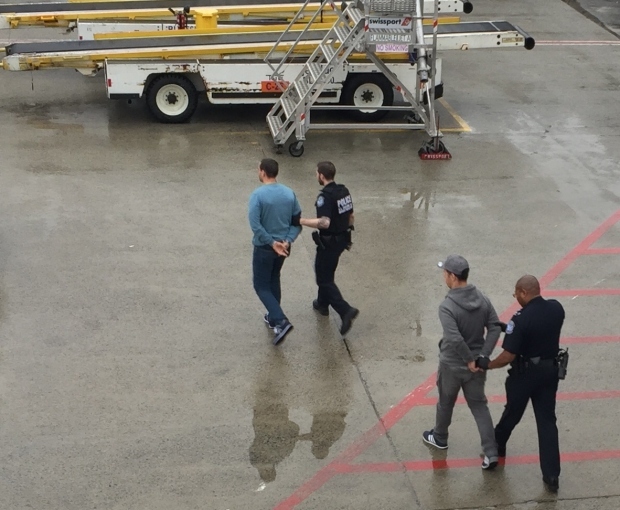 Earlier this month, agents at Logan arrested two Romanian citizens wanted in the United States trying to flee the country. Customs said the men had $32,000 of unreported cash. In January, a 51-year-old man traveling from Israel to Boston had $10,000 sewn into his pants, according to Customs. He had declared $14,000, but Customs said it found more than double that – $29,000 – on him. Customs seized all of the cash. Officers said some passengers even hide cash on their own kids, including $7,000 in a kid's backpack. One thing that tipped them off? The adult became sensitive when an agent opened one of the boxes in the backpack. Among vials of ginseng, the agents said they found an envelope with $5,000. They found more as they searched. Another red flag? When people walking together or getting bags together suddenly split up. "We definitely want to ask more questions," Hartnett said. On a typical day last year at all ports across the country, Customs and Border Protection currency seizures averaged $265,205. At all ports in New England, Customs seized $2.05 million last year. One man entering Logan claimed he had only $500. Agents found more than $9,000, but they did not seize it. Customs officers consider a number of things when deciding whether to seize unreported money, like the traveler’s history and whether there's any evidence the money might be from illegal sources, according to a spokesman. Harnett said the most he's ever found at one time was $68,000. "Generally, counterfeit bills we find coming from South America," he said. "We see substantial money coming from Asia, also going out to India, the Middle East." Any money that travelers can’t prove is legal goes into the U.S. Treasury. Editor's note: An earlier version of this story mistakenly labeled the Custom and Border Patrol officers at Logan Airport as agents. Their title is officer.